This card uses coloring with markers and stitching techniques. 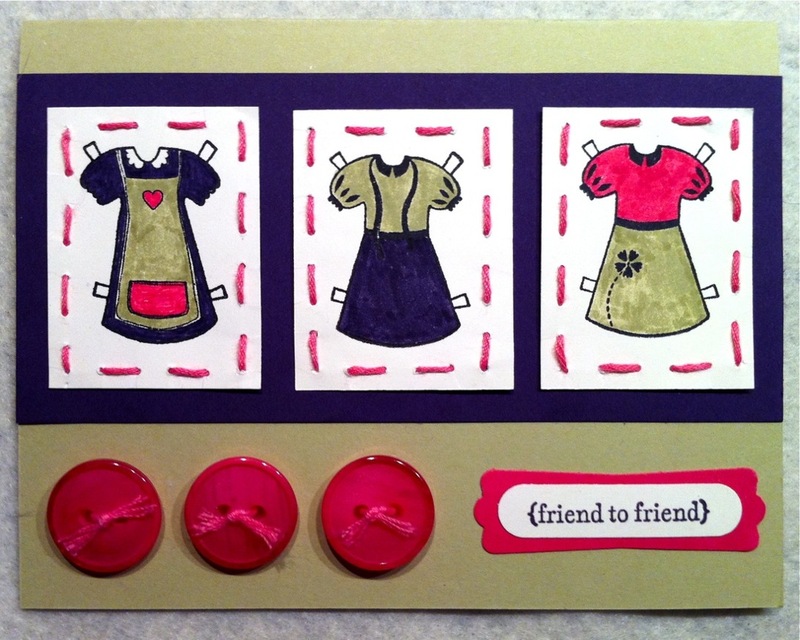 I got the idea for the color scheme from the Stampin' Up Color Coach. 6. Use the Sew Easy Stitch Tool to make holes on the edge of the rectangles. 13. Adhere sentiment punch to background and adhere to card.